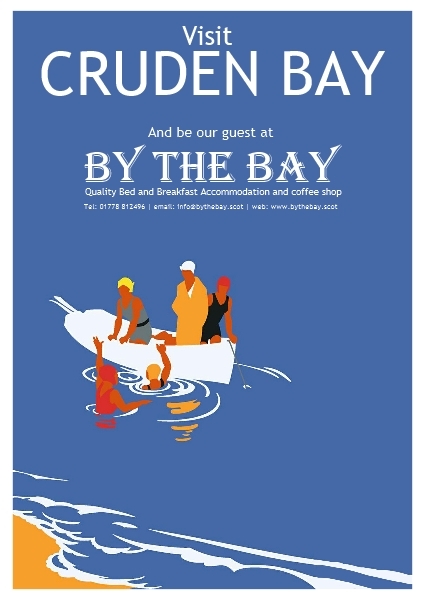 By The Bay Bed & Breakfast is a completely new facility, converted from a one hundred-year-old large family house. The finest quality materials and exercising every care in providing an exceptionally high standard of accommodation throughout. The proprietors live in the property adjoining and will be available 24/7 to ensure visitor’s needs are completely satisfied. 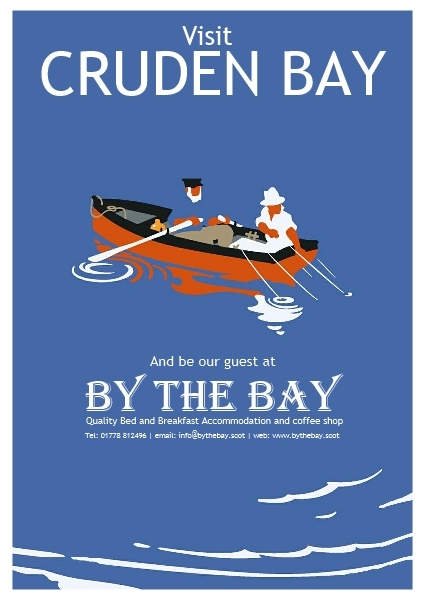 Our Executive Bed and Breakfast is situated in the centre of a newly defined conservation area in the picturesque fishing village of Cruden Bay and is very near shops and restaurants. 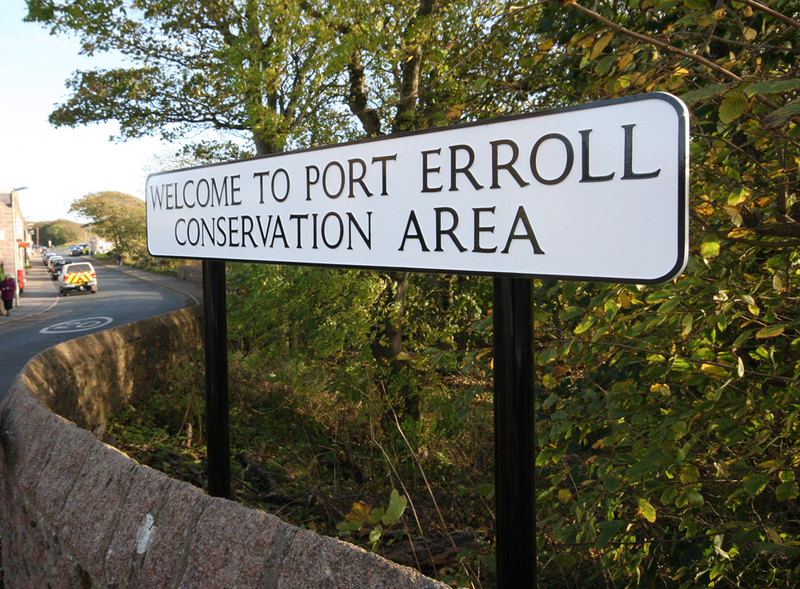 Located some 25 miles from Aberdeen, the oil capital of Europe, and only eight miles from Peterhead, Europe’s largest white fish port, both of these locations provide ample entertainment and shopping opportunities. 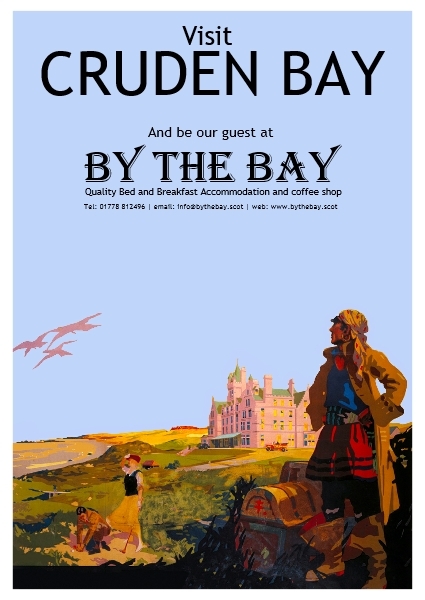 We offer a traditional old fashioned Scottish hospitality combined with the modern day high standards of accommodation expected by today’s discerning international traveller. 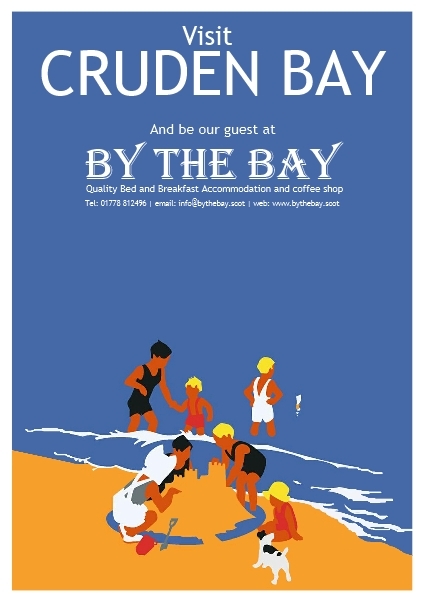 By The Bay Bed & Breakfast has been awarded a 4 Star Guest House rating by The Scottish Tourist Board . 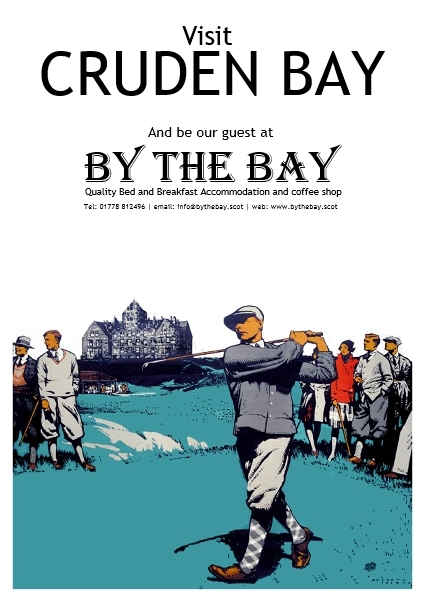 Whether it is playing the world class golf course, bird watching, walking or cycling through the many woodland and country paths or strolling along the clean sandy beach, there is something for most visitors to the Cruden Bay area to explore, experience and enjoy. The Malt Whisky trail is only a drive away from By The Bay Bed & Breakfast where a wide choice of popular Speyside distilleries can be visited and product sampled and purchased. 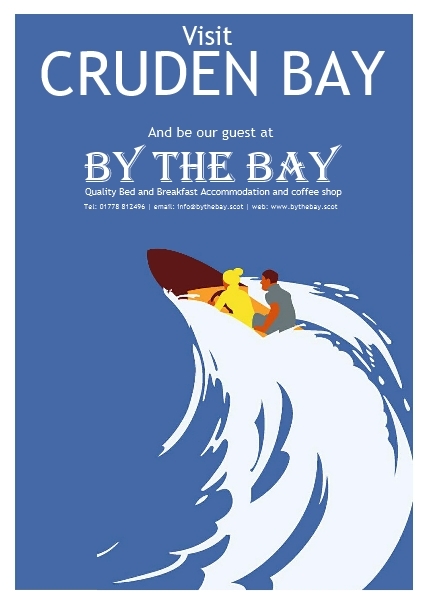 Our aim is to fully accommodate our guest’s needs and we look forward to giving you a warm Scottish welcome when you visit By the Bay Bed & Breakfast. 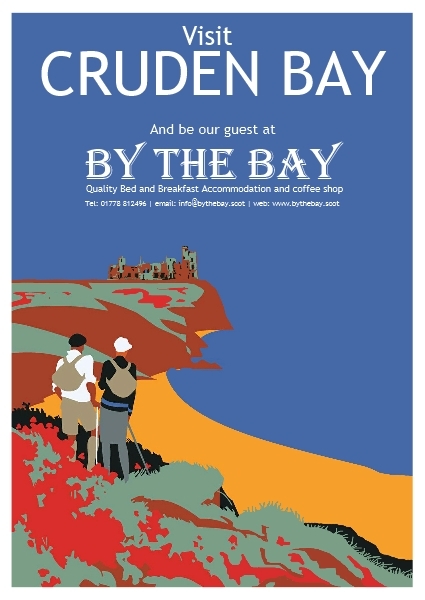 Cruden Bay has a long history of attracting tourists and visitors. 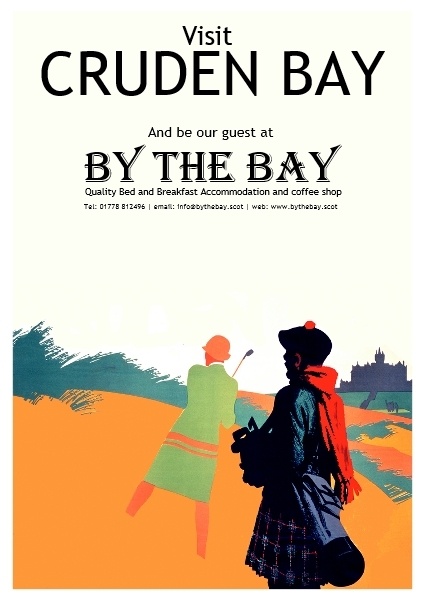 In the late 1800’s the The Great North of Scotland Railway (GNSR) opened the Cruden Bay Hotel (see video below) at the time, a range of posters were designed to help promote the area, and in recent times a number have become familiar again as some of the wonderful vintage images have been reproduced as post cards, posters etc. 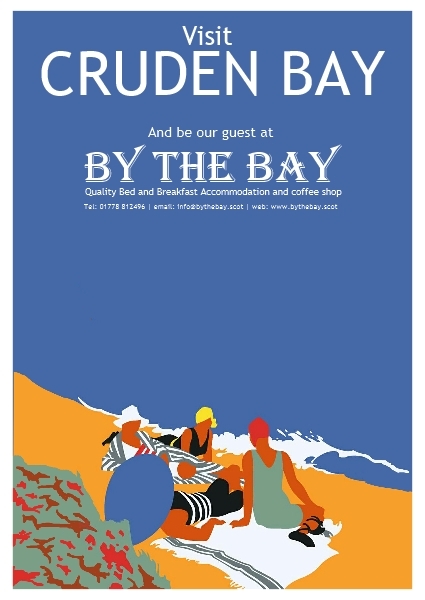 We have taken inspiration from the GNSR posters in the design of our website as well as in our own marketing posters. We hope you like our own updated versions shown in the gallery below. 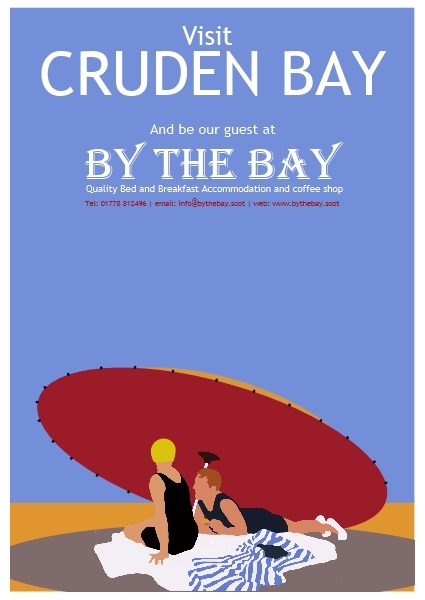 We sell prints of these posters in the coffee shop so you can always take a wee bit of Cruden Bay home with you. 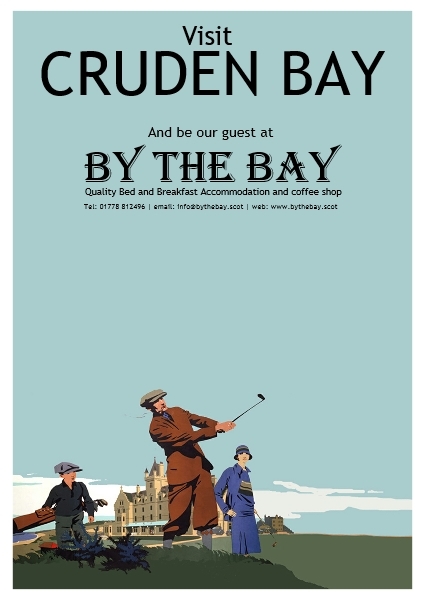 By The Bay Bed & Breakfast are proud to be part of the latest group to promote the rich legacy which has promoted Cruden Bay as an established tourist destination for over 100 years. We are also delighted to share more modern images of the area provided by local photographer Frigg Photography. 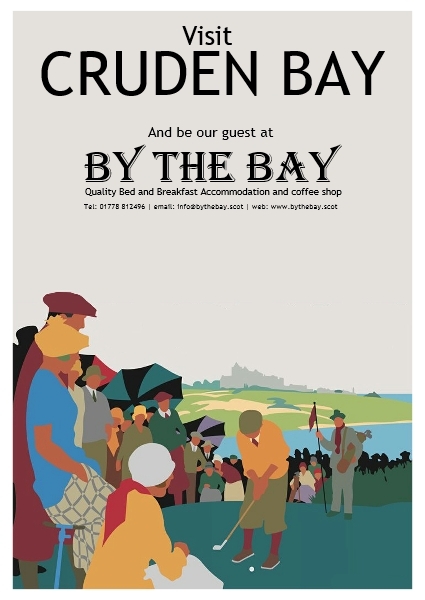 This is a great wee video featuring Cruden Bay made by Aberdeen Solicitor & Property Centre to promote the area to those thinking to move here. They made such a good job of it we thought you might like to see it.